The A9 chip delivers an ultra-responsive iPhone experience and we found little to no delay when using a range of apps and features on the 6S. 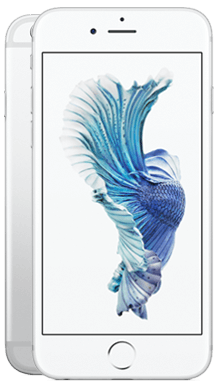 Select your desired options to find the best Apple iPhone 6s deals for you. There’s not many who would argue the power of Apple when discussing industry leaders in smartphone technology. The tech giants have been at the forefront of mobile phone manufacturing for over ten years now, earning them a loyal following of fans across the world. The iPhone 6 was the first iPhone, and indeed smartphone, to feature a much larger screen and for that reason became a revolutionary iPhone handset that paved the way for those that followed. The iPhone 6S which succeeded the 6 took things a little further by featuring much more powerful internal hardware to make for a smartphone that not only impressed loyal iPhone fans but also experts and critics alike, so much so that it won a barrage of tech awards in 2015. Even though the iPhone 6S is now almost three years old, it is still a fantastic choice when you’re on the hunt for a new smartphone, particularly if you get your eye on an Apple handset. 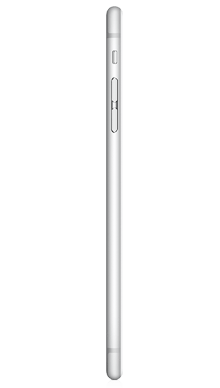 We’ve already mentioned the larger screen and thin body of the iPhone 6, and the design of the iPhone 6S pretty much mirrors that of the 6, featuring a 4.7inch screen and an aluminium frame which measures at just 7.1mm thick, making for a handset that is larger, but still compact and incredibly light. 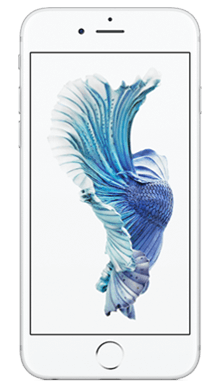 Coming equipped with ion-strengthened glass and oleophobic coating, the iPhone 6S comes in four stunning colourways. So whether you choose Space Grey, Silver, Gold or Rose Gold, there really is an iPhone 6S to suit any individual’s style. The added protection does add to the durability of the handset, but if you’re a die-hard iPhone fan then you’ll know the heartbreak that strikes when you accidentally smash or crack your iPhone screen, so we’d highly recommend investing in a screen protector and a good quality screen. The screen quality of the 6S doesn’t differ from previous iPhone handsets, but colours and detail still come across at a really high standard, with natural hues and a balanced contrast. The A9 processor, which we’ll go into in more detail shortly, delivers great quality graphics to deliver a top class experience for gaming fans, and really proves that the iPhone 6S can hold its own when it comes to testing screen quality against other high-end rivals. Upon its release, the audio experience on the iPhone 6S was the best you could get, and it still sounds fantastic when put against more recently released handsets. The timing is great and all instruments are handled well, with a rich, dynamic sound quality that sounds crisp and fresh. For all the traditionalists out there you’ll be grateful that, due its age, the 6S features an up to date audio experience while still retaining the headphone jack that is sometimes missed when it comes to more recent iPhone handsets. The iPhone 6S comes equipped with a brilliant 12MP rear camera, which was a significant upgrade from the iPhone 6. The rear camera delivers a noticeable improvement in the quality of photos taken on the 6S models, with much brighter colours and details that come across with much more detail. Another much-appreciated upgrade can be found with the front shooter which jumps from a 1.2MP to a 5MP setup, meaning that your selfies come out at a much higher standard so you’ll waste no time uploading them to social media and find those likes rolling in. Of course, you also have your trusty personal assistant, Siri, on hand to help you out when you’re in the car or on the go. While other manufacturers have tried to catch up we have to admit that Siri is probably our favourite AI feature of any smartphone. You have the choice of 16, 32, 64 or 128GB of internal storage, with 2GB of RAM so you can always make sure that you have enough space for all of your essential apps, your favourite photos and your most important files. The iPhone 6S runs on Apple’s celebrated A9 chip, which delivers a fantastic smartphone experience which we have found to be fast and ultra responsive. You’ll find using the internet, playing games, and running multiple apps a much quicker task; gone are the days of waiting for your iPhone to play catch up while you're using it. The battery life of the iPhone 6S could be better - you may find yourself running low before the end of the day so we’d suggest carrying around a handy little portable charger for any emergency top-ups. Despite the fact that the iPhone 6S was released almost three years ago (we can’t believe it either), it still stands up as a fantastic smartphone and is ideal if you’re desperate for an iPhone but need a more affordable option. It features the stunning design that we’ve come to know and love from Apple and comes in four desirable colour options to suit each and every Apple fan. The screen quality delivers an extremely high standard of graphics, and users will be more than satisfied with the visual experience on the iPhone 6S. Furthermore, the sound quality delivers a fantastic audio experience that is rich and well balanced. The camera setups featured much-needed upgrades on both the rear and front setups, and anyone who has owned an older iPhone will notice the better quality of both photographs and selfies. Our only worry with the iPhone 6S is the battery life; with moderate use, it doesn't start to drain before the end of the day so if you’re going for the 6S we would say that a portable charger is a must-have. As the Uk’s leading independent mobile phone retailer, here at Fonehouse we’re always on a mission to make sure we’re bringing our customers the very best mobile phone deal, so you can be sure that if you’re looking for the best iPhone 6S deal, you’ve come to the right place. 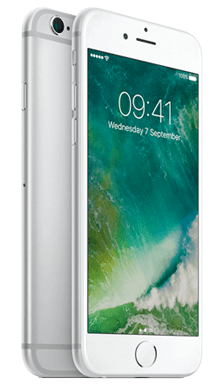 Our site features some of the very best Vodafone iPhone 6S deals, but we’re not just about giving you low prices, we also have some fantastic free perks including entertainment subscriptions to the likes of Spotify, Now TV and Sky Sports, and often a great cashback offer! Alternatively, we have a huge variety of EE pay monthly deals, so we have some of the best iPhone 6S offers on EE, giving you bags of data and the huge added benefit of 6 months free Apple Music! 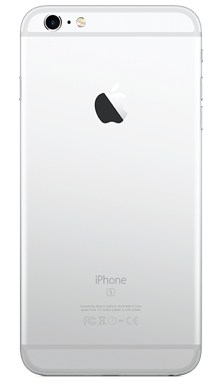 If you’re looking for the iPhone 6S SIM-free, then it will, of course, cost a little more than its smaller counterpart, but here at Fonehouse we have some of the lowest SIM-free prices, and with our next day delivery service, you could have your iPhone 6S the very next day and it won’t cost you a penny. If you can’t find the best iPhone 6S deal online or in our stores, or if you’d just like to get some more information on the iPhone 6S, why not contact us on 0333 900 1133 and our UK based customer service team will be on hand to guide you to the perfect deal for you.